Situated in an attractive coastal town, this proposed Retirement Living plus development will offer you the opportunity to maintain your independence in a home you own, while receiving that little extra care and support you need. Within this quaint seaside town in Somerset, you'll find a whole host of amenities and facilities within a picture-postcard setting. You'll have the choice of either a one- or a two-bed apartment. Each will be designed with you in mind, featuring raised sockets, ample storage and non-slip bathroom flooring. You'll also have full use of a social lounge, which will sit at the development's heart, providing a comfortable space for you to socialise with your fellow homeowners. In addition to the Estates Manager – who will oversee the development's running – the development will be staffed 24 hours a day. Our trained and dedicated team will provide whatever support you need as part of your individually tailored care package. The care we provide is totally flexible and so you'll only receive and pay for the care that you need. Homeowners will also receive some domestic assistance each week – you choose what chores you'd like us to help out with. We simply want to make your day-to-day life easier. There'll be an on-site bistro serving great-value, high-quality meals every day – an easy option perfect for when you don't feel like cooking. 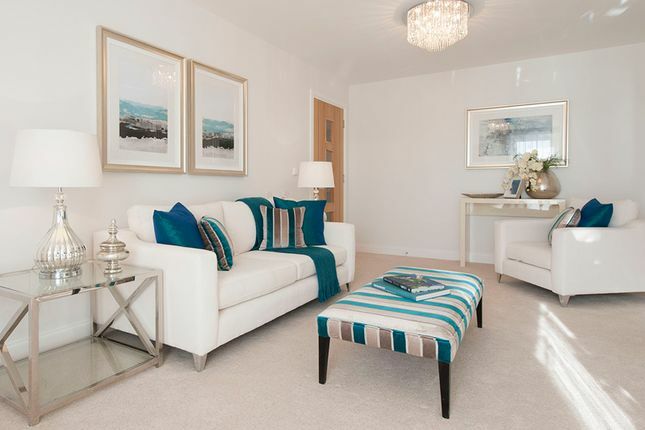 Other features include, lifts to all floors, on-site car parking, a salon and beautiful landscaped gardens. Clevedon is a picturesque Somerset town on the banks of the Severn Estuary. As well as a town centre offering a unique selection of quirky shops alongside high-street favourites, the waterfront provides all you could want from a typical English seaside town. The town's pier, a Grade I listed building, is hailed by some as England's most beautiful pier. Nearby you'll find a variety of stylish cafes and restaurants, and a stroll along the promenade provides stunning views over glistening pebble beaches and out across the estuary. Clevedon is also home to some charming ornamental gardens and an elegant Victorian bandstand, where you can enjoy performances throughout the summer. Curzon cinema is another of Clevedon's highlights. One of the oldest purpose-built cinemas in the world that is still in working order, you'll feel as though you've travelled through time as you step through its doors. Enjoy the newest blockbusters, classic films and screenings of live performances as part of an experience that you'll not forget in a long time. What's more, on the seafront you'll find Clevedon Promenade Bowling Club, a friendly club that always welcomes new members. As well as lawn bowling throughout the summer months, with both friendly and competitive games held regularly, the club often hosts social events such as coffee mornings, quiz nights and bingo. And further north along the Clevedon coastline is Clevedon Golf Club. Having celebrated its 125th anniversary in 2016, the course is highly regarded in Somerset and offers fantastic views across the estuary. Welcoming both visitors and new members alike, the club boasts extensive facilities, including a driving range, practice greens and a stylish clubhouse housed in a Grade II listed converted farmhouse. Property descriptions and related information displayed on this page, with the exclusion of Running Costs data, are marketing materials provided by McCarthy & Stone - Clevedon RL plus, and do not constitute property particulars. Please contact McCarthy & Stone - Clevedon RL plus for full details and further information. The Running Costs data displayed on this page are provided by SmartNewHomes to give an indication of potential running costs based on various data sources. SmartNewHomes does not warrant or accept any responsibility for the accuracy or completeness of the property descriptions, related information or Running Costs data provided here.